ABERDEEN PROVING GROUND, Md. (Feb. 17, 2016) – Each year, the U.S. Army conducts a series of technology demonstrations known as the Army Expeditionary Warrior Experiments, or AEWE. The event is the U.S. Army Training and Doctrine Command’s live, force-on-force experiment. AEWE places technologies under development by industry and Army researchers into the hands of Soldiers for early and credible feedback from the end-user. In January, the AEWE 2017 team selected a project submitted by the U.S. Army Research Laboratory for inclusion in its next round of experimentation: On-Demand Small Unmanned Aircraft Systems, or UAS. 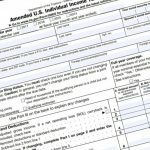 It is one of 50 technologies slotted to participate in the experiment with 14 from government researchers and 36 from industry. Eric Spero, an acting team lead in the ARL Vehicle Technology Directorate, convinced the AEWE selection committee that Soldiers needed to see the On-Demand Small UAS concept in order for his team to assess the progress of their research. They saw an opportunity to combine the two technologies to support small-unit, decentralized decision-making in complex environments, Spero said. In a white paper, Spero outlined why the project would be relevant to the experiment’s objectives. If small UASs are built on-demand, they can be customized to autonomously deliver specific supply classes via air. 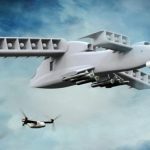 “Small UASs can also be used to investigate weapons of mass destruction at a safe stand-off distance, looking beyond gaps, collecting forensic data, and breaching complex obstacles such as those that require hover-flight capability,” Spero wrote. 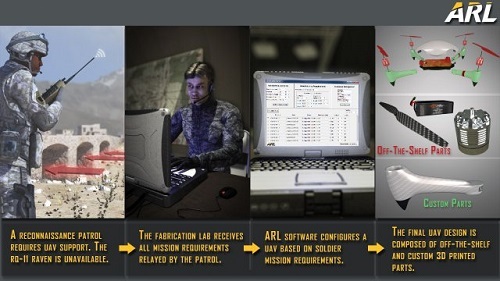 Before a mission or when an immediate, unforeseen need arises, Soldier input is used to design a mission-specific aerial solution. Spero said his team’s software generates a computer-aided design model of the vehicle, which is then provided to digital manufacturing equipment. Rapid manufacturing generates the UAS structure while off-the-shelf parts are gathered from inventory. Machined parts are combined with electronic parts to form the UAS. The laboratory has been collaborating closely with its partners at Georgia Tech’s Aerospace Systems Design Lab on development of software and hardware to demonstrate the capability. 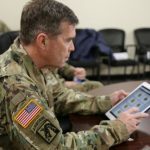 “The solution is envisioned to be available at the battalion level and below, supporting the company, platoon, squad and individual Soldier,” Spero said. Advantages compared with off-the-shelf UASs and accompanying design process include flexibility, cost and availability. “When we mention that the on-demand version is flexible, potentially more available, and at a much lower cost — that’s when people get excited,” Spero said. Spero said the on-demand approach also avoids chasing obsolescence of electronic components. When newer components become available on the market, or when mission needs change, each can be incorporated into the software with little delay. 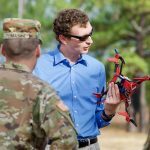 “A small inventory of inexpensive, off-the-shelf electronics enables a wide range of UAS capability,” he said. The project is part of the ARL Science for Maneuver Campaign, which is one of eight campaigns that encompass the laboratory’s core competencies. Valco said producing customized designs near the location of need will reduce the burden of inventory overhead. Flexible design optimization, advances in materials and the speed of 3-D printing, or additive manufacturing, will make this vision of the future a reality, Valco said. The experiment may be more than a year away, but the team needs the time to collaborate with researchers from across the U.S. Army Research, Development and Engineering Command to deliver a working prototype. All 50 sponsors of the selected technologies will participate in several coordinating working groups during 2016 to complete pre-experimentation planning and administrative requirements. 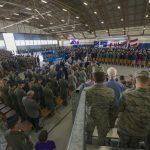 Teams will also provide training to the Soldiers involved in the experiment. 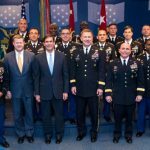 AEWE 2017 will take place at Fort Benning, Georgia, between January and February 2017.